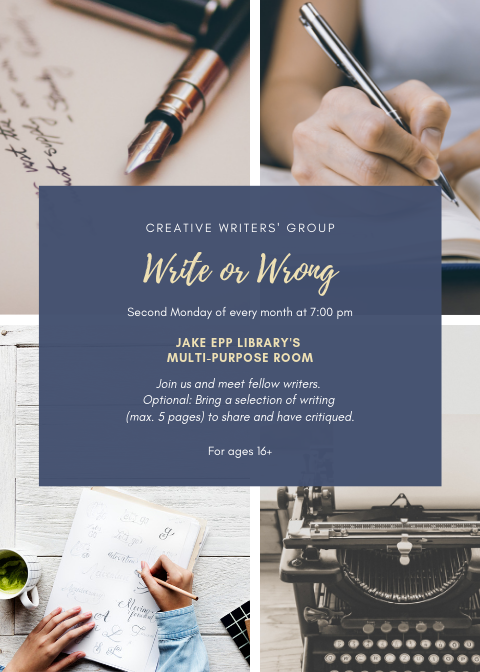 Come connect with fellow writers and if you would like, bring a selection of writing (max. 5 pages) to share and have critiqued. The group is for ages 16 and up, and is a drop in program. No sign up is required, come for the times that work for you.